The Nova Collection is a bold re-imagining of a classic look that takes it's inspiration from timeless patterns of yesteryear and reinvigorates them with a modern twist. This micro waterjet mosaic is single cut by hand and provides endless design possibilities, from classic to contemporary. 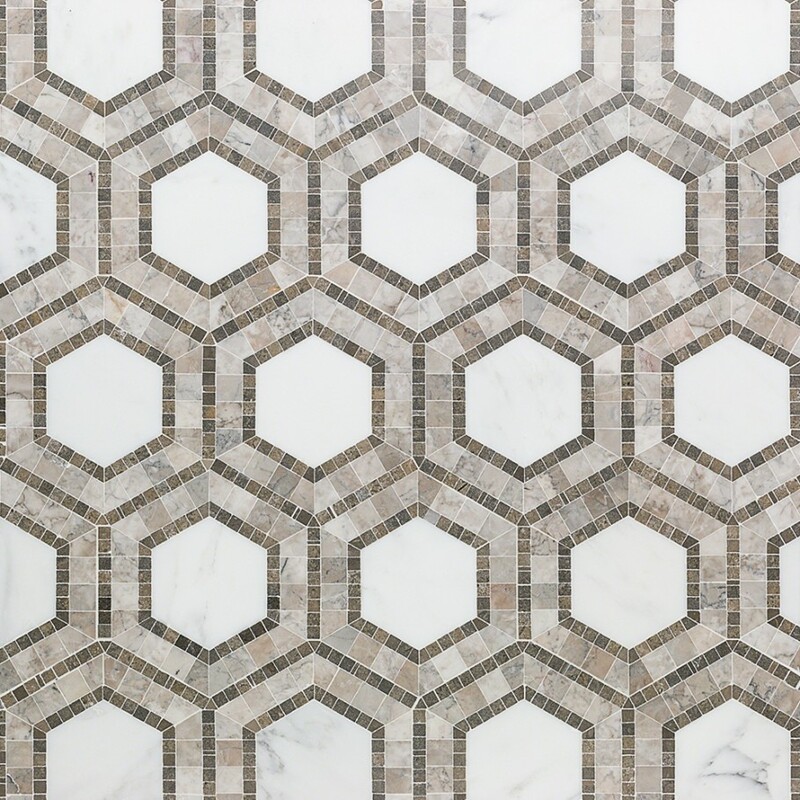 The ideal choice for an assortment of commercial and residential renovation projects, make that bathroom floor or foyer really pop with this enduring octagon pattern that is sure to serve as the focal point of your space for many years to come.